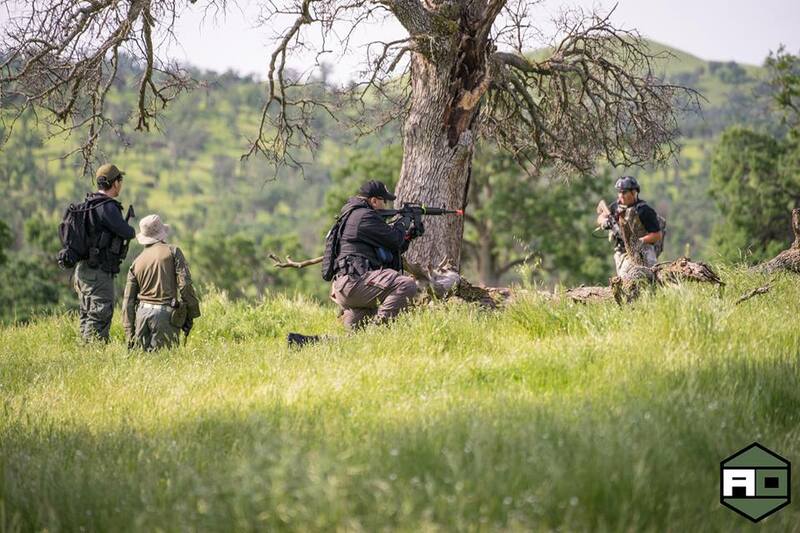 On the 8th of April 2017, myself, Leah and Jet made the 4 hour drive from Victorville, CA to Clovis, CA for Uprising 3, an event ran by Airsoft Obsessed Dave and Robbie. 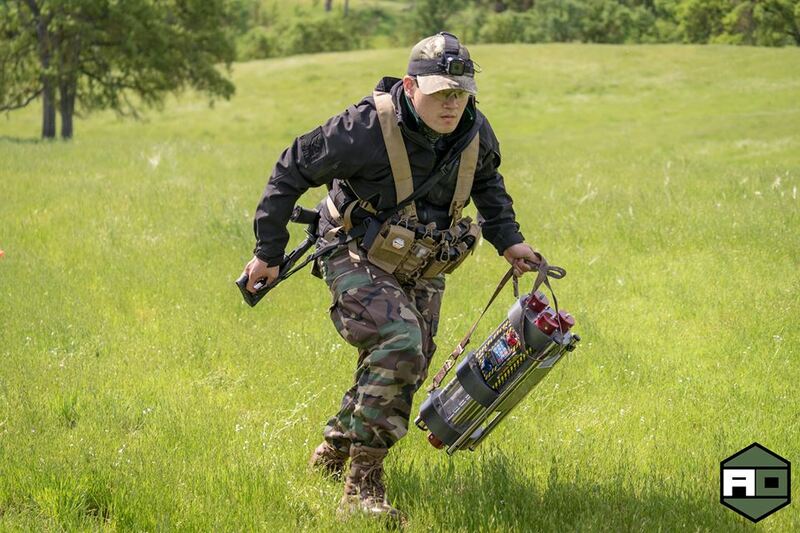 The Uprising series of events are a super fun and popular series of MilSims that take place at Hill 559. Hill 559 is a 1 mile squared AO (Area of Operation) that features TONNES of hills (as it's name suggests), a stream, open plains and a shanty town. For the most part of the site the cover is whatever you can find - trees, rock formations and the hills themselves. The site is absolutely gorgeous in the warm weather but it is a super tough AO due to the heat and hills. For this Op there was around 150 players on site that weekend! On the morning of the event we turned up at Hill 559, parked our car and loaded all of our gear into a nearby 4x4 to transport it from the car park to the camping area (due to the rain that had fell the night before the stream in the AO was bursting and only 4x4's could access the camping area, womp womp). We got to the camping area and started to set up our tent and get all our kit ready for the Op. 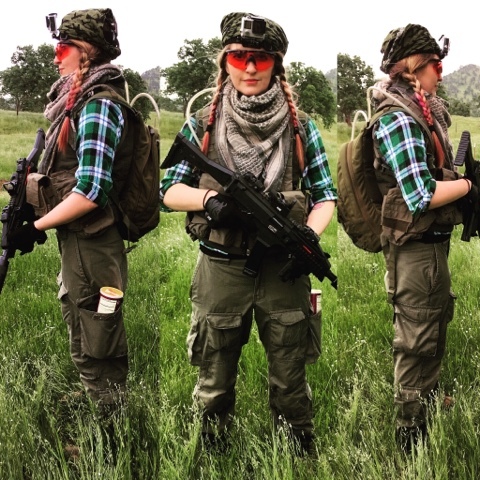 What I love about the period of time before the Op officially starts is meeting the other players, I finally got to meet my good friends Airsoft Hasmeen, Undeadfred12 and Scarmelita who I've only spoken to on social media for the last couple of years, it was great to finally meet them in person. 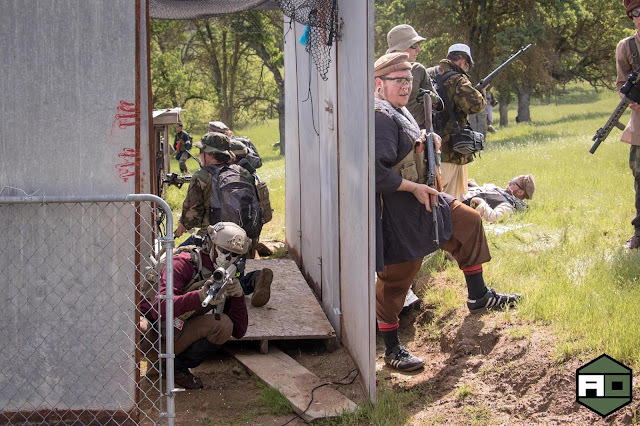 We also got to catch up with Dickbutt Airsoft, thebrainexploder and meet Dutch, the YouTuber behind the YouTube channel Dutch the Hooligan. After a quick catch up, we set up our campsite and got kitted up we had our comprehensive game brief from Dave and off the sections went. 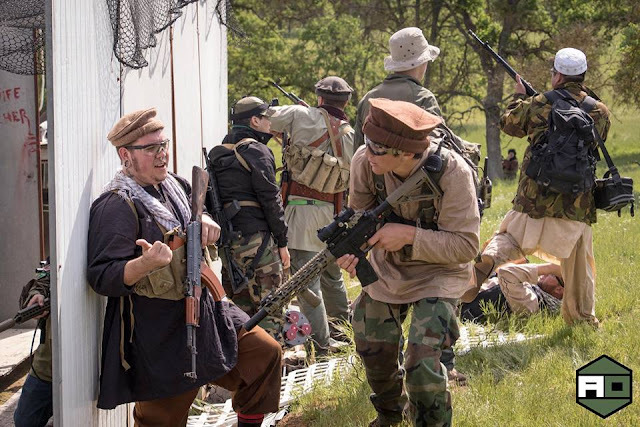 The Militia side definitely attracted some awesome loadouts - from cowboys to hillbillys and traditional middle Eastern gear. 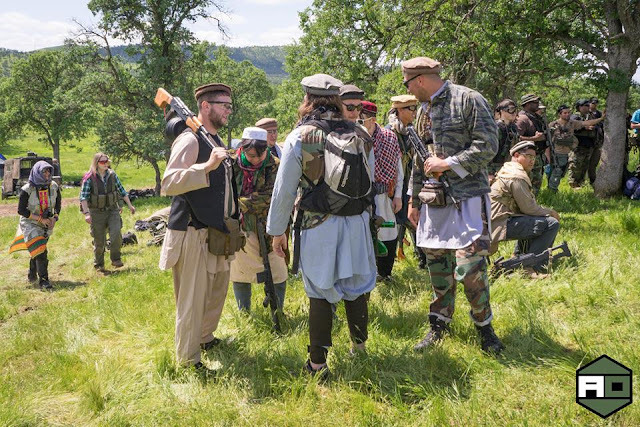 After the game brief, our section, Haji Max went out as civilians with no tac kit or weapons to interact with the other players (to add to the immersion of the event), walking the hills of Hill 559 monitoring the movement of FSC troops and playing loud music to distract whilst we worked out where their FOB was located ready for our assaults later. The only issue was that the FSC fighters were too cautious to interact with us. 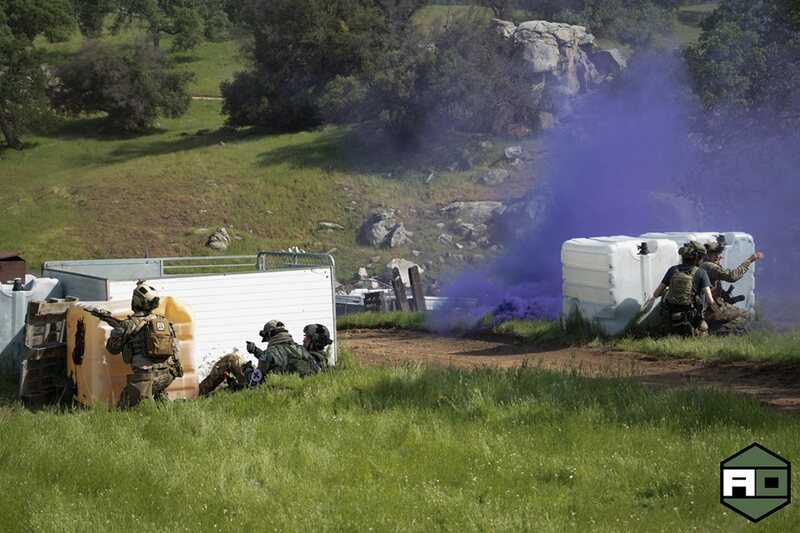 The firefights between the two sides kicked off a lot sooner than we expected. 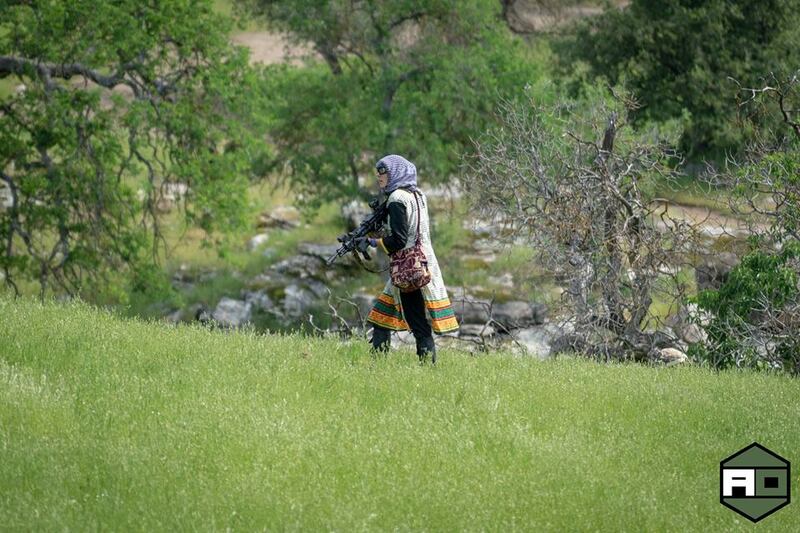 We sat on the hills cheering on our militia fighters whilst they engaged the enemy. After an hour or so we decided to kit up and join the fight. Our first outing as a squad of fighters took us right up to their FOB which we had scouted out from our recce patrol earlier in the day. We made our way over the hills searching for enemy platoons to engage with. Eventually we heard voices over a crest of a hill close to their FOB, once we had sight on the fighters and identified them as hostile we moved up the hill slowly ready to engage. As all our platoon reached the lip of the hill, we descended on their position, with the sounds of blank fire and war cries echoing amongst the hills. We quickly took the unsuspecting squad of 19 in a matter of minutes. 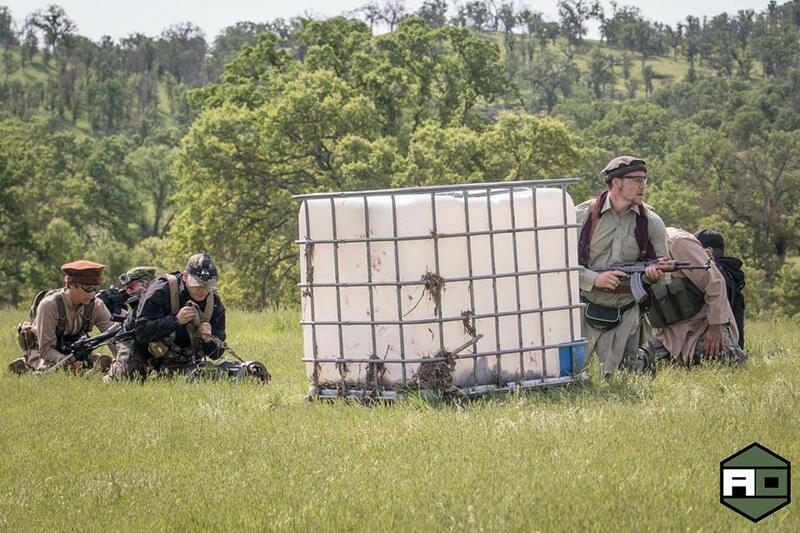 Once they were down and the area secured, we searched them and confiscated their kill cards. 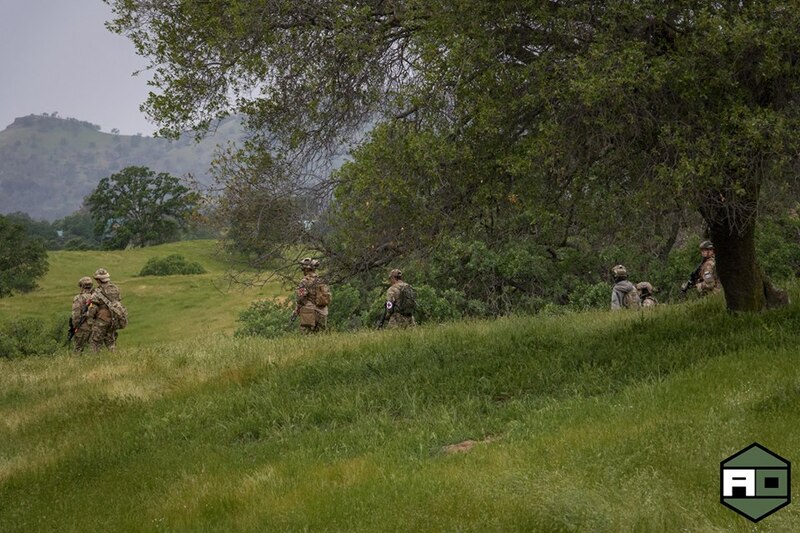 With 17 kill cards in hand, we made our way up the next hill to search for more enemy platoons. As we were closing the gap between ourselves and our own fighters as we started walking back towards our FOB searching for FSC fighters we had missed, we came across another large group of enemy fighters who we engaged alongside another platoon of CVM fighters, attacking from both sides the FSC were quickly killed. On Saturday evening after a hearty MRE, we bombed back up ready to go out before the night games. We walked (as you can tell there was a LOT of walking!) over the hills on the North side of the AO along the fence lines until we saw a group of enemies over the crest of the hill. As it was sunset, we had the sun working against us but as we were emboldened by the days successes, we set about making our way up the hill. We engaged the fighters, throwing grenades and smoke to cover our movements, after a long 10 minutes most of our squad had been hit. Sunday ended in a dog fight for the shanty town in the AO. Our section left the FOB in full force, we moved slowly over the hills until we spotted an FSC platoon walking along the road that led to the CVM FOB. 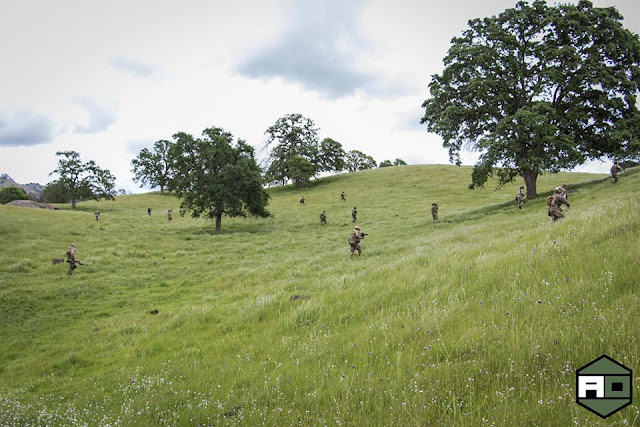 We watched them from the safety of a hill crest that overlooked the road, other CVM sections started to form lines on the adjacent hill top, all of which waiting for the enemy platoon to pass our position so we could flank them in a fierce attack. 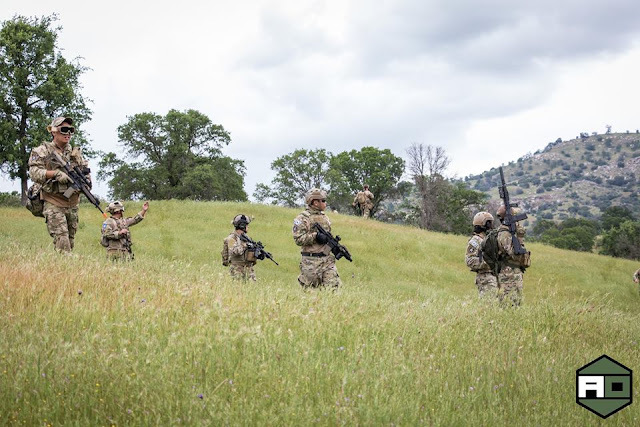 As soon as the enemy platoon was past the Haji Max position, everyone erupted into action, troops moved forward over the crest of the hill, descending and opening fire on the unsuspecting FSC troops position. The air was filled with smoke that concealed the movement of our troops, edging us closer and closer to their positions. Eventually due to the sheer amount of CVM fighters moving in on their position, the FSC troops retreated whilst taking heavy casualties. We crossed the road and descended on their injured fighters, searching them for intel and kill cards. After this engagement, we made our way over the hills to the west of the FSC's position in order to go undetected to the stream, which we crossed by the stepping stones. Once across the river with no resistance we moved over the hills behind the shanty town to take the enemy fighters by surprise and plant the explosive device that would destroy their stronghold and win the engagement. We were met with heavy resistance when we entered the town. The sky was alive with BBs flying past from machine guns and the sound of blank fire. Our machine gunners moved in on the FSC's position whilst our riflemen stormed the buildings. As our fighters moved in, we were flanked by another FSC platoon who wiped out most of our rear defence. The FSC emboldened by their determination fragged our riflemen inside the complex. Unfortunately due to the enemy resistance whilst we got the explosive device inside the complex we were unable to arm it in order to destroy the town. Endex was called just before 11am on the Sunday morning after the battle for the Shanty town had concluded. Shortly after a raffle was held for all the ticket holders including some awesome prizes from Evike.com. 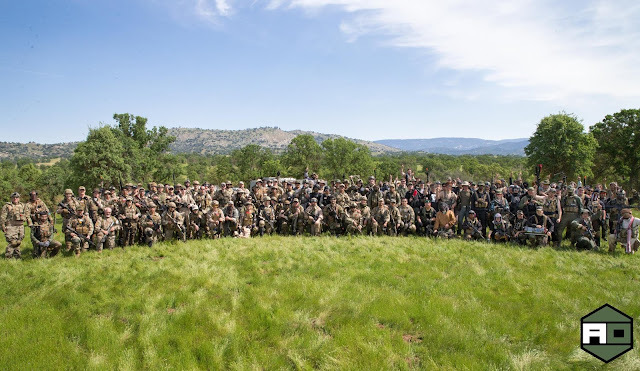 Thank you to Airsoft Obsessed for having us and putting on such an awesome event. Also a big shoutout to all the players that attended, the level of play over the weekend was great and it was a super fun event!